Jim Waddell, a civil engineer retired from 35 years of service with the U.S. Army Corps of Engineers, recently released a re-evaluation of the Corps' 2002 Lower Snake River "dam breaching" study in which the Corps understated the true costs of keeping the Lower Snake dams in place by $161 million on an average annual basis. Using actual costs over the past 15 years and Waddell's corrections, total average annual cost for keeping the dams over their projected life span is estimated at $217 million. 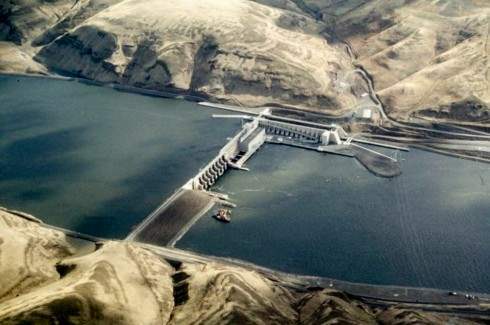 Citing the 2002 study, the Pacific Northwest Waterways Association recently claimed that replacing hydropower produced by the dams would cost an average annual $271 million. That claim, however, ignores the fact that Lower Snake River hydropower has already been replaced more than double by wind energy. PNWA also fails to share key economic information with the public: The study's identified recreational benefits of breaching the dams -- $85-$350 million per year. Using a midpoint dollar figure of those benefits of a free-flowing river, most of which would be shared by hundreds of small businesses from Astoria, Ore., to Salmon, Idaho, keeping the dams is costing us an estimated net $118 million a year in lost recreational benefits alone. The Lower Snake River dams are economic losers costing taxpayers and ratepayers millions every year. It's time for all of us to take our heads out of the sediment and learn the economic truth about these dams.